Re: NEWS: Walt Disney World to launch "Summer Nightastic!" ^Nope... But you get lots of fancy construction walls, if that makes you feel any better! Walt Disney World has picked a pair of construction firms to lead an overhaul of the Magic Kingdom's Fantasyland section, the biggest-yet expansion of Disney's oldest and busiest theme park. Disney has hired Barton Malow Co. of Southfield, Mich., and Birmingham, Ala.-based Hoar Construction LLC as general contractors on the Fantasyland project. They will oversee the work alongside Disney's own Buena Vista Construction Co.
Disney expects to break ground on the project this spring. Plans call for a major new ride based on The Little Mermaid, an expanded Dumbo ride, and elaborate sub-areas devoted to some of Disney's most popular princesses, along with new restaurants and shops. With Universal Orlando's Wizarding World of Harry Potter scheduled to open in a matter of weeks following more than two years of construction, Disney's Fantasyland overhaul would take over as the largest construction project in local theme parks. Disney says it expects to open the expanded Fantasyland in stages, beginning in 2012 with the Mermaid ride and the princess attractions. A second phase, anchored by a Pixie Hollow area featuring Tinker Bell and other Disney fairies, will open in 2013. Disney has dubbed the new area of Fantasyland "Fantasy Forest." Both companies selected to be general contractors have Orlando offices and have done extensive work in the area. Barton Malow's local projects range from Lockhart Middle School to baggage carousels at Orlando International Airport. Hoar's local projects include Thornton Park Central, the condo-and-retail project in downtown Orlando, and SoDo, a larger condo-retail project south of downtown. Summer Nightastic! at Walt Disney World begins a limited engagement at Walt Disney World on June 6. The celebration will continue through August 14. In addition to the Main Street Electrical Parade returning, new effects for Tower of Terror and new fireworks show we previously told you about as park of Walt Disney World’s Summer Nightastic, some more events were announced. A Rock N’ Glow Dance Party will be held in the courtyard of Rock ‘n’ Roller Coaster at Disney’s Hollywood Studios. Sizzling summer sounds will be spun by DJs. More high-energy music presented by DJs will get guests’ toes a-tapping during a Magic Kingdom street party. August 14th is the end of summer? When I was kid my family would drive all the way down to WDW once every 4 or 5 years and all but the last year (1990) we stayed at Ft. Wilderness; stayed at Disney Villas in '90...anyways- We would also visit about two weeks before school started in Buffalo, NY which would have put us into late August. It was great- the lines were manageable, the seasonal entertainment such as fireworks and light parades were still running. A few years ago my parents took my sister and her kids down there are that time and it was a mess! Only one park per day was opened late and that made it packed. It is really too bad that Disney has forgotten the wonderful world of late summer- not quite into the shoulder season- still "festive"
Of the road, but still in a truck...By the way, that's my dog Millie (named after Millennium Force) over there to the left! That makes more seance as to why they had a full street party at the test for the virtual queue system last year. Time will tell if Animal Kingdom gets something for Summer Nightastic, as they are the only park left out. And so it begins, the Magic Kingdom gets it's own version of "Attack of the Walls" featured at DCA. As part of Summer Nightastic!, Walt Disney Imagineers came up with even more unexpected thrills in the Hollywood Tower Hotel! If you listen closely, you can hear the distant rumble of thunder, not to mention the giggles from the disembodied voice of a child. New lighting and sound effects will add to the new experience, bringing Guests into the eerie halls of the Hollywood Tower Hotel. Throughout the summer, you’ll find the eerie blue lights and lightning crashing around The Twilight Zone Tower of Terror. It’s your chance to take your summer fun to a whole new dimension! It all reaches the height of excitement when Captain Hook and his pirate crew try to capture Cinderella Castle and it may look as if they’ve blown off parts of the magical structure! Will Tinker Bell arrive in time to save the day, or should we say, the night? Only for a limited time this summer! “We’ve re-imagined new magic from something that only a select few were able to experience before,” said Chris, referring to the much-loved “Magic, Music and Mayhem.” From those sparkling roots, Chris is delighted that he and the Walt Disney Entertainment team are now able to bring Summer Nightastic! fireworks spectacular to a new level and to a larger audience, including Passholders like you. Last edited by jedimaster1227 on Tue May 11, 2010 11:01 am. So, it seems as if Summer Nightastic is merely a rebadge of the Pirate and Princess party fireworks at the Magic Kingdom? Don't get me wrong, they're probably my favorite ones at the park, but... I was hoping for something a bit... more. The carrousel device drew the attention of the villagers, who wanted to take a turn on this amazing spinning contraption. So Prince Charming had a second carrousel constructed closer to the Castle, where everyone could take a spin on this wondrous invention. Instead of a working knight’s training device, however, this new carrousel is more befitting its regal location in the Castle Courtyard – its rustic training horses replaced with ornately decorated prancing steeds adorned with golden helmets and shields, flower garlands, feathers and other festoons. 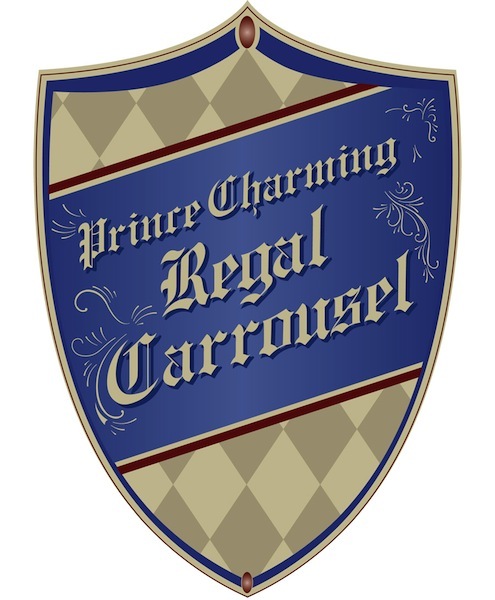 Prince Charming invites one and all to test their horsemanship skills and to enjoy their own happy ending.